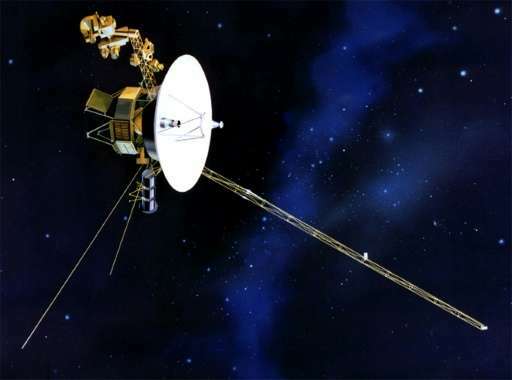 Star Trek actor William Shatner, who played Captain Kirk, read the message from mission control in Houston, before it was beamed out to Voyager 1, according to a broadcast on NASA television. "We offer friendship across the stars. You are not alone," said the message, written by Oliver Jenkins, whose Twitter handle is @Asperger_Nerd. The contest launched by NASA aimed to find the perfect goodwill message—under 60 characters long—to commemorate the twin spacecraft that launched in 1977 from Cape Canaveral, Florida. The spaceships explored Jupiter, Saturn, Uranus and Neptune, and also carried gold records containing messages, songs and images from Earth in case of encountering extraterrestrial life. Voyager 2 is on its way there too. "We offer friendship across the stars. You are not alone,"
..they know. They've been messing with us for millennia. "Dear Voyager; when you launched, the world was better. Progressive leftists in Hollywood have ruined the new Star Trek TV show even before it has begun. Politically-corrected it to death. The movies stink as well, with a boring, white-bread captain with all the charisma of a kitchen pot. So Voyager, bon voyage."